I have just found this site and spent hours learning so much. 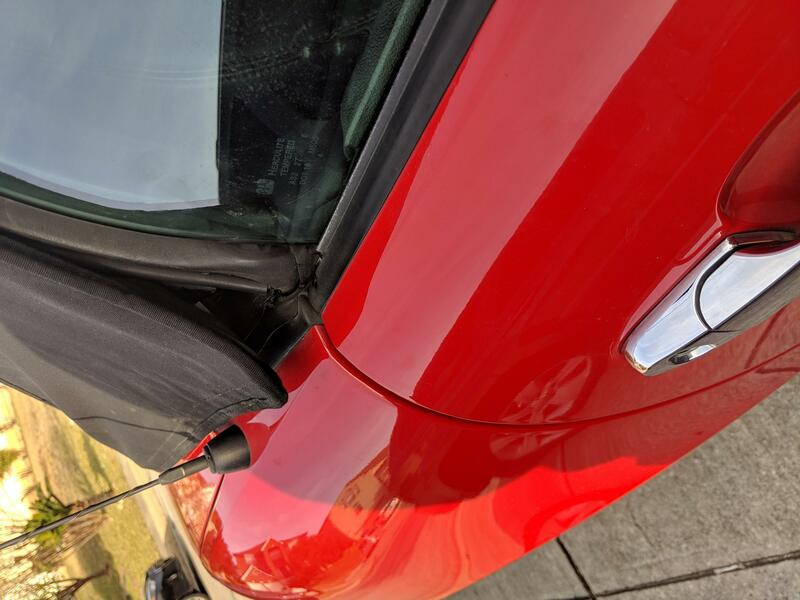 Like many here I just picked up a 2008 Pontiac Solstice GXP. 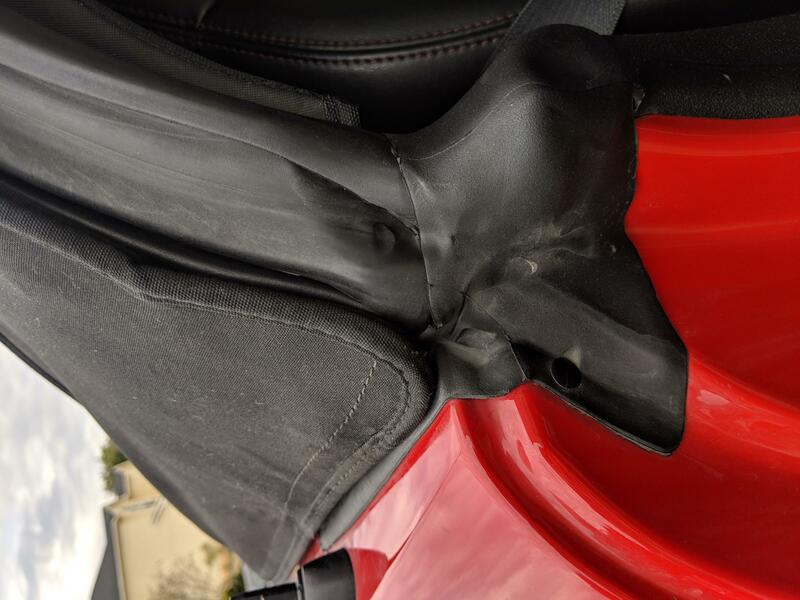 My Convertible top had several issues that I am learning how to solve with everyone's help. Now to my specific problem. 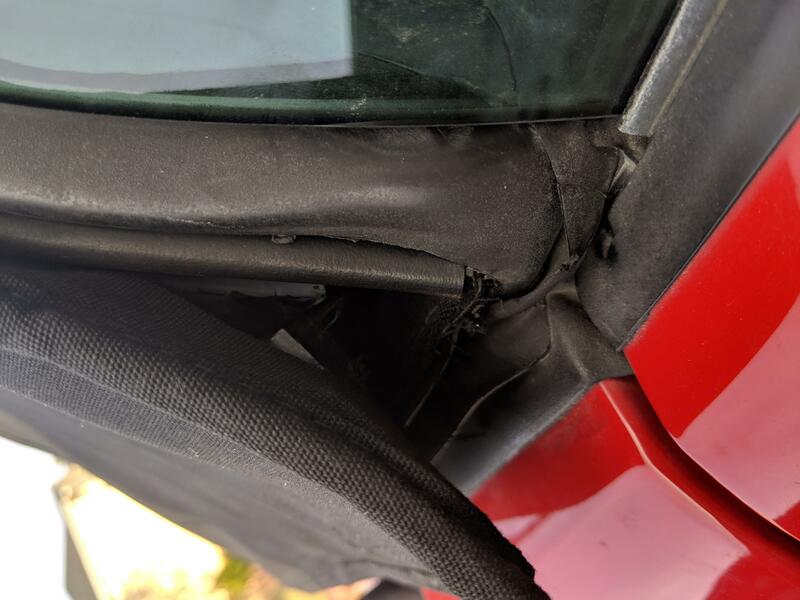 The blueish slider inside the passenger side rail (that secures the corner fabric flap tight against the body) when the top is up is cracked in half. 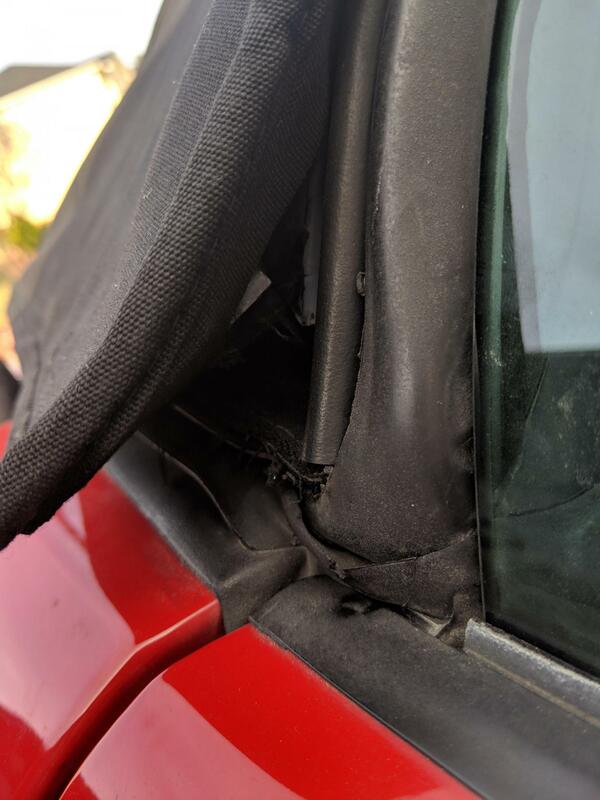 Since it's cracked into 2 pieces the corner flap pulls back and protrudes out and catches wind while driving. 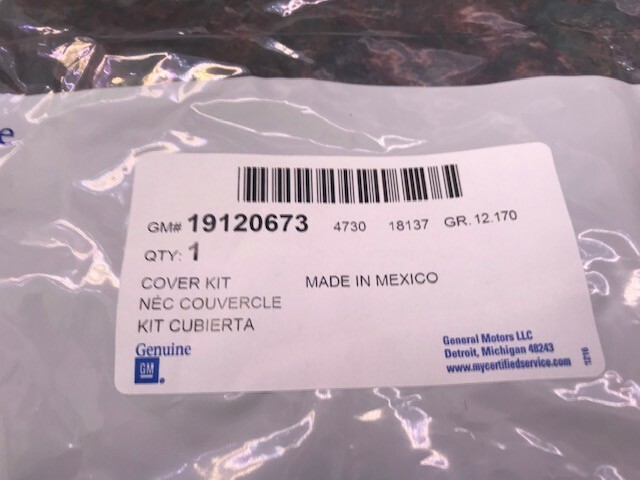 I would be greatly appreciative if someone can please point me to the correct replacement part and perhaps replacement instructions? I've found a parts diagram on a site, however, there are too many parts shown and too few descriptors to have any success at purchasing the correct part the 1st time. I've attached pictures in the hopes the correct replacement part can be identified. Last edited by trent41; 11-20-2018 at 02:10 PM. in it you will find pictures of this part / cable assembly being exposed as part of the disassembly process. Brian found a local shop in Phoenix that is doing his for him. The part is actually a cable that is attached at the forward side seal arm and to the rear bow of the top. It is a at least a couple of feet long. You can order it as a cable but will then need to find an experienced shop to install it for you. the one Brian found took one look at it and said "Oh yes, we have seen that plenty of times. Check parts.com for the cable assembly. I found one there. This has got to be the most over-engineered convertible top in history. Yes he did - The "Rube Goldberg award for the most over designed contraption in a car". Actually, when you consider everything that had to go on to make this thing work and maintain the desired styling, it's no small feat! raygun and trent41 like this. Rob, it sounds like that fix is pretty difficult. Is there a name of the Phoenix shop that can fix that issue? Is the Brian you mention on this forum, .... forum name? Not having a top issue, but always nice to accumulate possible fix shops. 44thSKY and trent41 like this. Last edited by rob the elder; 11-23-2018 at 07:32 AM. Überhaupt keine Konstruktion, sondern eine Bastelbude für Rätselfreunde. Es bleibt auch völlig rätselhaft und im Dunkeln, was sich die Entwickler dabei gedacht haben mögen. Oder etwas deutlicher: Das hier ist Mist, und zwar Mist ohne Stroh. Ein fortgesetztes planloses Planen - Projektleitung: Dr.-Ing. Kai Ahnung. Ein Blick auf den BMW Z1 mit seinem selbst ausspannenden Gestänge - und diese Z1-Konstruktion entsprechend adaptiert. Selbst die Design-Gimmicks wie die seitlichen Finnen wären auf einfache Weise bei völliger Gestaltungsfreiheit zu realisieren gewesen. Not a construction at all, but a craft shop for puzzle friends. It remains completely enigmatic and in the dark, what the developers may have thought. Or more clearly: This is crap, and crap without straw. Continued Planning - Project Management: Dr.-Msc. N. Oclue. A look at the BMW Z1 with its self-relaxing boom - and adapted this Z1 construction accordingly. Even the design gimmicks like the side fins could have been realized in a simple way with complete design freedom. 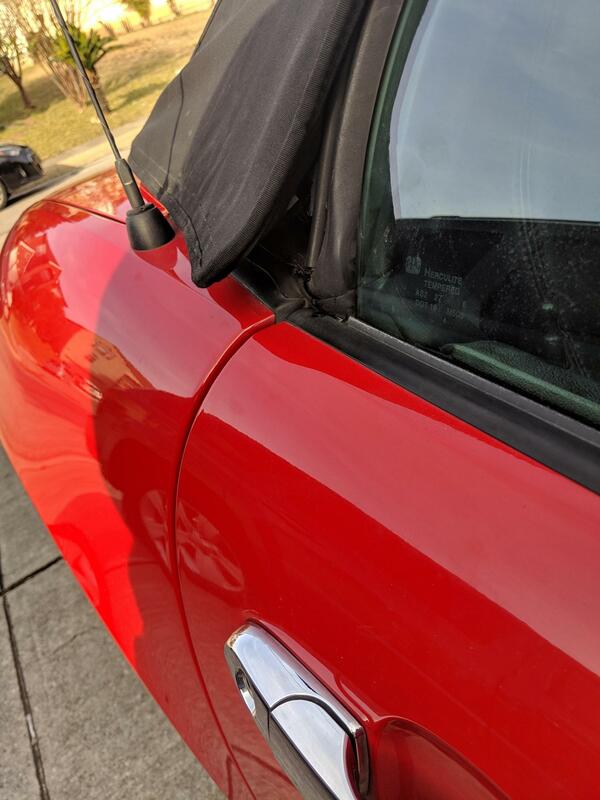 I ordered the part and with assistance from another knowledgeable poster on the skyroadster forums that posted disassembly instructions and photos, I was able to perform the repair with my son as a father-son bonding experience. Nothing like working on your car with your son! The SkyRoadster thread with disassembly instructions is here: https://www.skyroadster.com/forums/f...s/58490?page=2. I would not have had the courage to undertake such a complex job alone if it were not for both the great Solstice and SkyRoadster forums, and SARBlade (SkyRoadser Forum specifically). Anyway, I was able to perform the repair by following SARBlade's instructions to remove a series of rivets to pull the broken slider out out of the fabric flap. I then used only the lower portion of the GM replacement cable part, containing the new plastic slider assembly and cable and replaced the older cable assembly all the way back to the trunk flapper closure. I then removed the rivets connecting the upper portion of the new cable assembly from the plastic slider and re-rerivetted the upper cable already attached to the top portion of the convertible top back to the slider. I chose this approach, since the upper portion of the cable assembly was still good, and I did not want to push the repair any further than necessary. So everything below the plastic slider all the way back to the truck flapper closure is new. One other trick to connect the lower portion of the cable to the spring assembly attached to the truck flapper was discovered by my son. Rather than attempt to remove the rivet way back at the back inside of the trunk flapper fabric (would have required cutting a hole in the fabric to see the old rivet and drill it out and place new one, or remove the staples holding the fabric to the plastic flapper end to roll back the fabric to get a clear view), is to push the cable all the way back through the 1/2 inch hole where the fabric meets the trunk flapper, which exposed the spring end. I was able to remove the old cable from the spring clip and attach the new one. 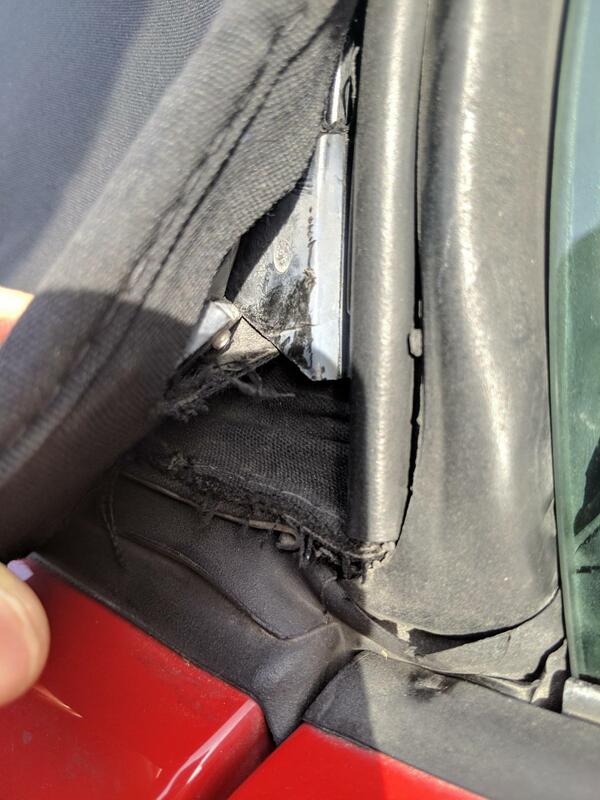 I know pictures would help a lot here, but when you get to this point in the repair, it will make sense. The total job time, for a first timer was close to 7 hours. I'm sure would have been much faster for someone familiar working with convertible tops. I wish I had taken pictures to help others, but was more than half way through the job and fighting a quick setting sun to get it completed. Finally I would say that it was important to take my time and document where each removed piece was supposed to go, as it could get easy to mix up the parts or reinstall them incorrectly. The results are remarkable and would never know the problem existed previously. Thanks again for the wonderful resource the Solstice Forum provides! Last edited by trent41; 12-16-2018 at 08:44 PM. Okay, after searching all three sites (Sky, Solstice and Kappa), I discovered that many talked about it but no one really documented anything. I took some photos of my repair as I went along knowing how much photos speak vice me trying to describe what I did! Here is what I did, first open the top about a foot and secure. Shed some light and protect paint! Then roll up the front part of the buttress by the corner of the window to reveal a rivet. Drill this out. This allows you to now open the flap right up. You can now drill out the other 2 rivets holding the second cable plate. Next roll the weather stripping a bit to reveal 2 torque screws. You don't need to remove them only loosen up enough so that you can slide the broken piece out of the track. I did not remove the piece that slides out of the channel as that requires more disassembly than I want to go into! Next I used a wonderful product called Q-Bond to glue the pieces together. I clamped the two together first, and drilled some partial holes for the glue and powder to sit in so that it could weld the pieces together. I also used a dremel to work it so it didn't become to big. That back side was reinforced with the same plastic off a donor part I had kicking around. Once the ribbing was installed I had to re-drill holes through for the rivets to be installed. I installed both rivets with washers on the backside. Take it easy installing these, if you are on an angle, you could crack the weld. Installation was the reverse of the take apart. I slid it back into the channel and re-torqued those 2 torque screws. 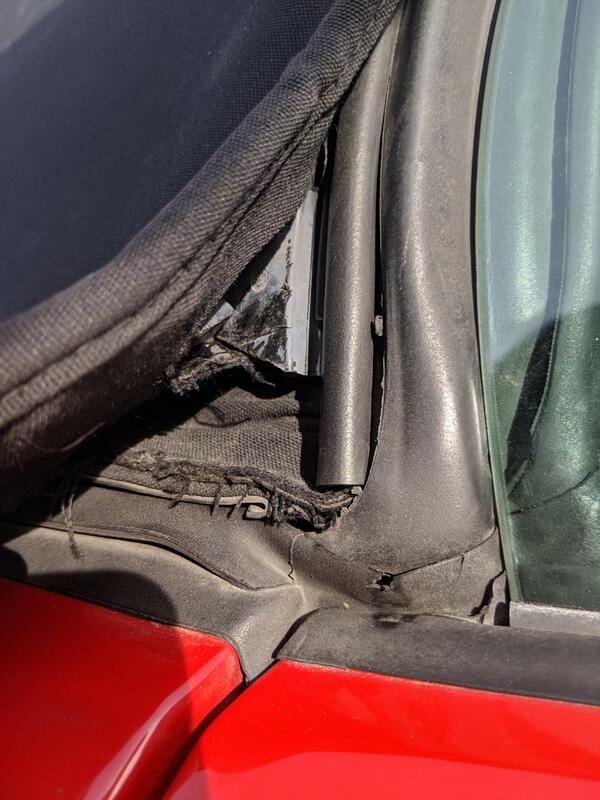 Then re-installed weatherstripping, followed The only issue I ran into was the slot in the fabric was a little small for the large part to go into. I cut it just large enough for the piece to slide back into the cloth. then with the use of an awl, I aligned the hole in the cloth with that of the plastic and put the last rivet in. Cleaned up. Put the top back up and took picture.